Santa Albert, like a good St. Nick, is always by your side whenever you need him (whether you've been naughty or nice). Santa Albert loves creating lasting Christmas memories for families and kids of all ages to share over many years, and loves when he’s a part of your cherished memories and family photo albums. He looks forward to doing the same for new clients, families and all their guests. 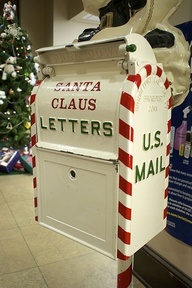 Santa Claus loves when his Christmas card and party invitation lists grow every year! He understands that new and existing clients might have queries for him, so he invites them not to hesitate in asking. If you have questions or comments, please use the form available below to contact the North Pole. Santa Albert appreciates concerns and suggestions on how to improve the Santa experience, but would love to hear from you if you enjoyed your visit too! The “re-captcha” text box is to make sure that you’re a person and not a computer. If you can’t read the text, click on the speaker symbol to have it read to you. Otherwise, the elves just need your name, email address, phone number and message to pass on quickly to Santa Claus Albert. He will respond to your email in a timely manner, generally within 24 hours North Pole time. This excludes weekends and holidays—Santa gets a little busy around Christmas, but he likes to grill for Mrs. Claus on Memorial Day too. Santa and his elves try their best to respond to your query, complaints or suggestions instantly (and Mrs. Claus will nag him until he does it too). If, due to unavoidable circumstances (such as necessary sleigh repairs), you don’t hear from Santa in 24 hours, please be patient. If you’re not, you just might end up on Santa Albert's naughty list.